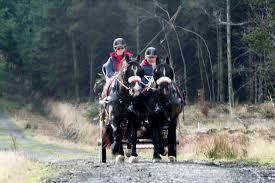 Largely a pleasure sport, carriage driving is a popular activity in Ruby Country, with many miles of quiet country lane through outstanding scenery, places to stop for refreshment and places to stay overnight for horse and driver to enjoy longer visits. Scroll down the page to see new carriage driving routes available in Ruby Country. Carriage driving is a form of horse driving in harness in which larger two or four wheeled carriages (often restored antiques) are pulled by a single horse, a pair, tandem or a four-in-hand team. 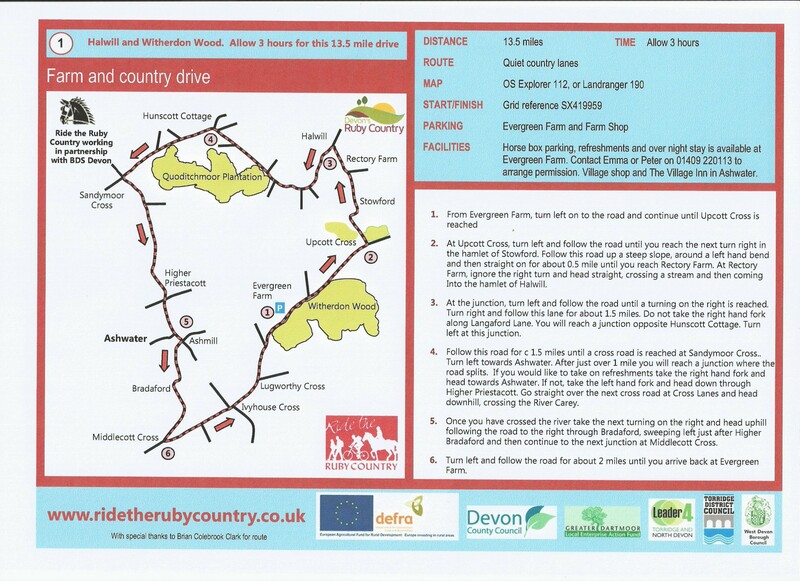 BDS Devon is an active organisation arranging many drives throughout Ruby Country and Devon, incorporating off and on road sections on most of their drives. The organisation also arranges fun and social events for all the family, making carriage driving an inclusive activity. 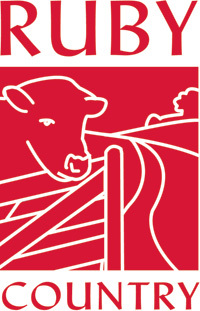 Ruby Country is pleased to be working with BDS Devon. Together we have been working to promote carriage driving in Ruby Country, Devon and the South West. There are a small but growing number of places where you can keep your horse overnight whilst undertaking a carriage driving break in Ruby Country. To find out more, click on the links or use the contact details provided. We have a full range of equine services and facilities at Easter Hall Park including livery, so we can provide self-catering accommodation for you and equine B&B for your horse so that you can enjoy a holiday together. Our large outdoor schooling area has an all weather surface for flat-work and jumping and we also have a smaller indoor area. 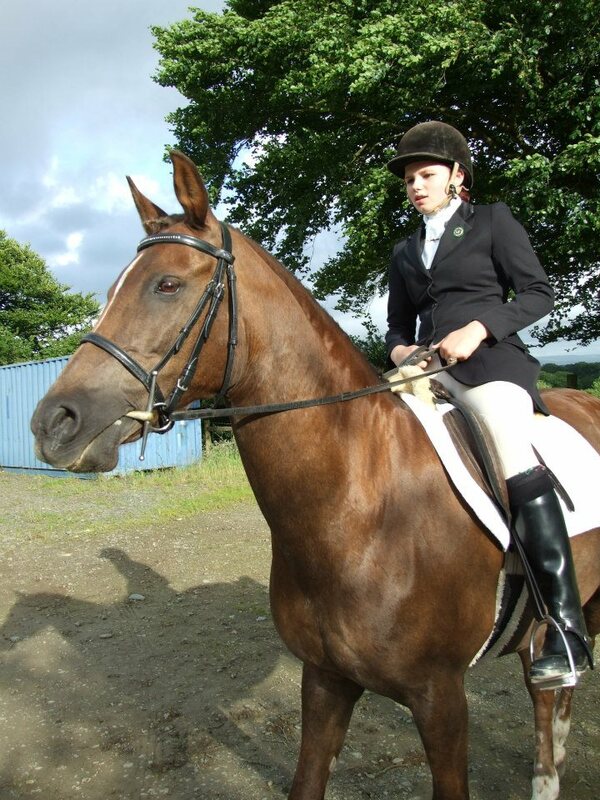 We can offer riding tuition and courses during your stay, please inquire when booking. Training for British Horse Society (BHS) exams is available or hacking for the experienced rider over our farm or on the nearby Tarka Trail. Equine B&B for your horse, Rowden Farm will also allow you to stay on site in your horse box, or you may chose one of the nearby B&B. Call Wendy on 07969 833984 for more information, including price and availability. Equine B&B for your horse, camping on the farm, stay in box or B&B in nearby villages for you. Evergreen Farm has good facilities for campers, cooked breakfast when required, farm shop for daily provisions and good local riding and driving. Parking also available for day drives in the area. Call Emma and Pete on 01409 221012, or 07963 211424 for more information, including availablility and cost. Call Stuart on 07968 477 150 for more information, including price and availability. 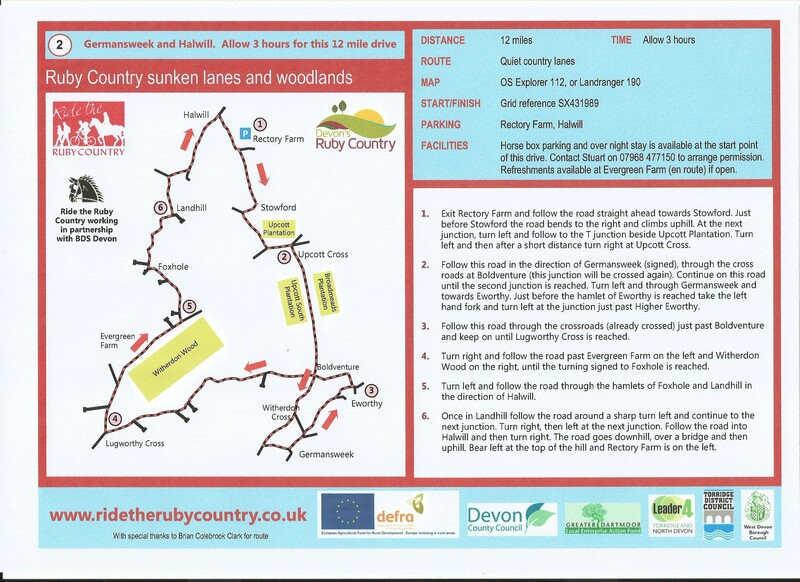 BDS Devon and Ride the Ruby Country are creating a range of downloadable carriage driving routes. The routes are currently all along quiet country lanes but we hope soon to announce some off road aspects to drives. Starting from Evergreen Farm, this 13.5 mile drive uses quiet country lanes to discover some of the best parts of Ruby Country. For more detailed route layout use the map below, or refer to OS Explorer Map 112 covering Launceston and Holsworthy. Click here to download a pdf copy of the route. Starting from Rectory Farm, just outside Halwill, Ruby Carriage Drive 2 uses quiet country lanes and takes in stunning scenery. The drive is about 12 miles all of which is on surfaced roads. Use OS Explorer Map 112 for more detail. To download the route, click here. Starting from near Ashwater, this 9 mile drive takes in some beautiful countryside including part of the stunning Carey Valley. Refreshments available en route at Village Inn and Village Shop in Ashwater. Use OS Explorer Map 112 for more detail. To downlaod the route, click here. 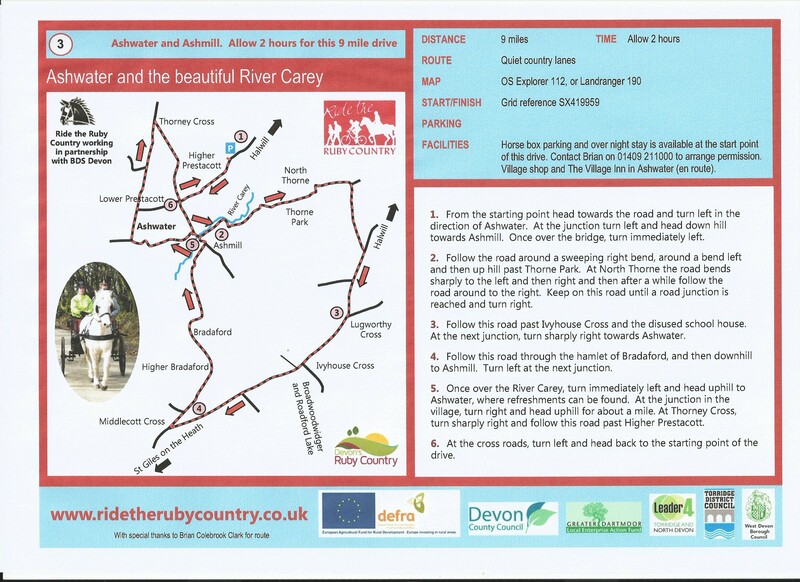 To find out more about carriage driving events organised by BDS Devon, click here some of which are in Ruby Country. Why not combine a stay in Ruby Country with an event, allowing more time to explore this fascinating area.